A four season resort with mountain side lodging and dining, snow tubing, snow boarding, golf, mountain biking, and swimming. Vertical drop on the slopes is 1072 feet. Showing the facility, the schedule, and the location aimed at family fun. Golf club featuring descriptions and photos of the clubhouse, restaurant and greens, plus membership information. 18-Hole, par 70 course located in Shell Knob. Includes rates and links to area sites. Mark McCumber designed course between Princeton and Freehold. Hole descriptions, photos, and membership information is listed. Information on Red Resort, a ski and snowboard resort located in Rossland, British Columbia, Canada. Resort information including skiing, snowboarding, and conference facilities as well as upcoming events and directions to the resort. Tour the resort, view accommodation, and get directions to the resort. Resort course nestled in the secluded foothills north of San Diego. Rules and course etiquette, hole pictures and resort information are listed. Provides information on lodging, group rates, special offers, resort events and activities, as well as directions to and a brief history of the resort. Golf resort with restaurants, hotel, and fitness center. Resort also able to hold special events (weddings). Scorecard, rates, and reservations. Sparks. Dixville Notch resort with 27 holes of golf including Donald Ross designed Panorama course and nine hole executive Coashaukee course. Provides rates, accommodation information, other activities at the resort and a calendar of events. The resort is 85 miles southwest of Dallas and offers a tranquil atmosphere and championship golf. The resort spans 3,450 acres, and includes four miles of shoreline along Lake Whitney. Offering the total resort experience, providing the best golf value in the entire area, and exceptional service in keeping with its reputatation as Arizonas friendliest resort. Mercer County Ski Resort offering 9 lifts, 27 trails, and a full service resort center, plus a mid-mountain facility, the MountainHouse. Winterplace is open for skiing, snowboarding and snowtubing every night until 10 pm. English manor residence and carriage house with golf course and banquet facilities. Package pricing and daily fees listed as well as course layout. English manor residence and carriage house with golf course and banquet facilities in Clarkston. Package pricing and daily fees listed as well as course layout. Located in Northwestern Massachusetts. Complete resort guide. Provides information about the adaptive ski program at the resort located in New Hampshire. 20K of private skiing trails for resort guests. Waubun, Minnesota. Ski area, resort and conference center in Jackson Hole. Photographs and description of 9 hole resort golf course in the Whitsundays. Resort webcams from over 100 North American resorts. Provides resort information. Located outside of Toronto, Ontario. 18-hole resort course in Gaylord. Photos, rates and map are listed. Official resort site includes maps, snow reports, and on-line reservations. Five star resort with three golf courses, gourmet dining, and conference facilities. Offers three professional quality courses along with fine dining and a hotel resort atmosphere. General information about this resort, located 65 miles south of Great Falls. News, events, snow report, trail maps, and resort information. If the business hours of Blue Knob in may vary on holidays like Valentine’s Day, Washington’s Birthday, St. Patrick’s Day, Easter, Easter eve and Mother’s day. We display standard opening hours and price ranges in our profile site. We recommend to check out blueknob.com/ for further information. 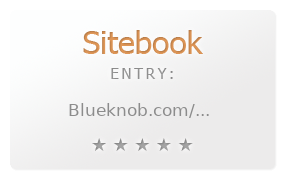 You can also search for Alternatives for blueknob.com/ on our Review Site Sitebook.org All trademarks are the property of their respective owners. If we should delete this entry, please send us a short E-Mail.